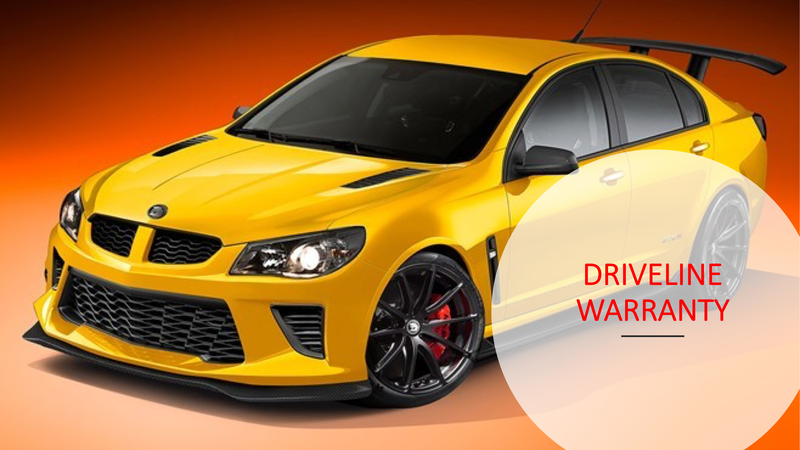 LSX Performance Parts proudly provides mechanical coverage & peace of mind with our driveline warranty for Holden & HSV's. We are all enthusiasts & enjoy performance upgrades. We get it! Investing in Performance Upgrades for your pride & joy is a way of life. There is nothing more exciting than when you pick up your car from the tuner & discover your new mods! BUT - What about voiding your manufacturers warranty? Won't my performance upgrades void my warranty? The short answer - Yes, ANY performance modification that you do will void your manufacturers warranty. Until now, There has not been any protection available to cover your car if it has been modified. The Revolution Driveline Warranty is designed with car enthusiasts in mind.